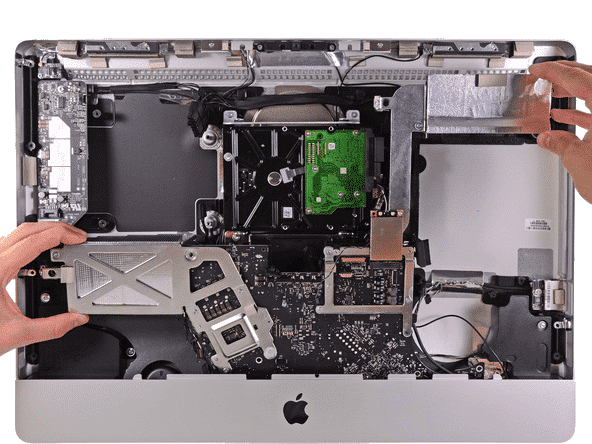 At User2, we carry out iMac repairs to both current and legacy machines. If your iMac boots up to a black screen with the Apple logo or is generally misbehaving, then it's repair time. Choosing a service centre to complete your iMac repair can be difficult. Considering User2 is a Which? Trusted Trader, you are assured of a professional service at a reasonable price. However, before bringing in your machine, take a look at some of the repairs we carry out. Failed or failing hard drives - Is your machine running very slow or failing to boot? If so, a hard drive may be the issue. Rather than the status quo, why not go for an SSD for a massive boost in speed? Dead iMac - This could be the result of a board failure that we may be able to repair in store. Because a No Fix No Fee policy applies for all non repairable jobs, you have nothing to lose. Software issues - Mac OS corruption or possibly an outdated version of Mac OS. Why not take the opportunity to upgrade to a more recent version? Screen Repairs - Although cracked screen replacements can be uneconomic, graphics faults can be down to internal cabling. Firstly, bring it in for diagnostics as it may be cheaper than you think. Having assessed the kind of iMac repair you need, the next step is to fill in the contact form below. Alternatively, speak to one of our experienced technicians or bring the machine in for assessment. As a Which? Trusted Trader you can be assured of receiving the best possible care for your service.